The seat is made of high quality Oxford fabric, which is water and abrasion resistant. Powder-coated steel frame and extra center support structure make it very strong sturdy and durable, and can support up to 200 lbs weight capacity. It can swivel a full 360 degrees and be collapsible into a compact pack, easy to carry with attached carrying strap. Take out the Geertop tripod swivel chair and have a relaxing rest when you are attracted by the beautiful natural scene in the journey. The swivel chair allows you to grasp a 360 degree view of outdoor landscape, adding more fun for the sightseeing. 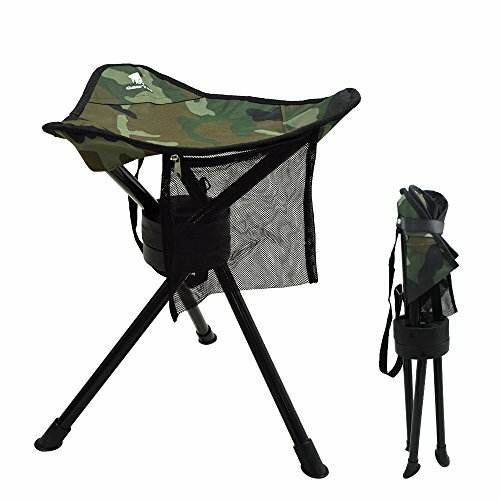 High weight capacity and durable structure will eliminate your worry of your weight. Just enjoy a comfortable sit, embrace the nature and take a deep breath of the fresh air. ➤High Weight Capacity - Lightweight aluminum leg and Powder-coated steel frame, it can support up to 200 lbs. If you have any questions about this product by Geertop, contact us by completing and submitting the form below. If you are looking for a specif part number, please include it with your message.